FBFF Is a 100% volunteer run organization. Because of that we are always looking for dedicated volunteers to join the advisory board and help move the food forest forward. 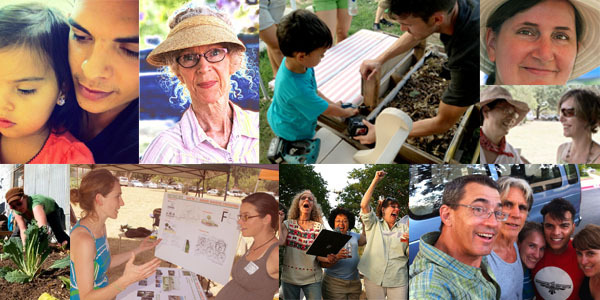 If you are interested in becoming an advisory board member at the food forest please view helpful information about board membership and application. You and your family are invited to join us EVERY Second Saturday of EVERY MONTH from 9am to noon to keep the Food Forest flourishing. Second Saturdays are a great time to come learn about the food forest, get some physical exercise and fresh air, and meet the core team. Bring a friend and a picnic! Also bring work gloves if you have them, sturdy shoes, water bottles, and sunscreen and/or a hat. We may have some extras of those things on site but it’s a good idea to get yourself geared up for unpredictable Austin weather.